Commissioner Margrethe Vestager, in charge of competition policy, said: "Member States cannot give tax benefits to selected companies – this is illegal under EU state aid rules. The Commission's investigation concluded that Ireland granted illegal tax benefits to Apple, which enabled it to pay substantially less tax than other businesses over many years. In fact, this selective treatment allowed Apple to pay an effective corporate tax rate of 1 per cent on its European profits in 2003 down to 0.005 per cent in 2014." 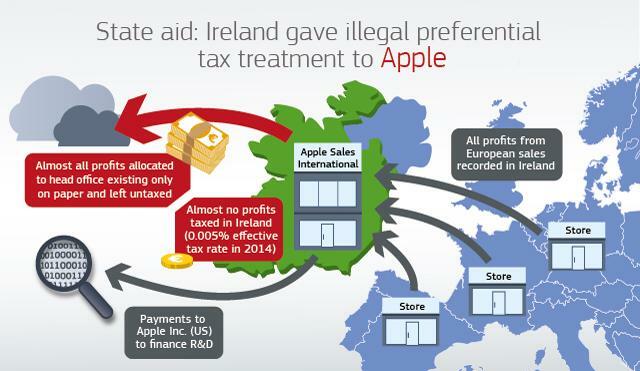 In fact, the tax treatment in Ireland enabled Apple to avoid taxation on almost all profits generated by sales of Apple products in the entire EU Single Market. This is due to Apple's decision to record all sales in Ireland rather than in the countries where the products were sold. This structure is however outside the remit of EU state aid control. If other countries were to require Apple to pay more tax on profits of the two companies over the same period under their national taxation rules, this would reduce the amount to be recovered by Ireland. For years now, Neath Port Talbot Council has allowed our streets and our residential areas to look more and more shabby and unkempt. The build-up of rubbish and weeds that choke our streets and lanes makes our communities look and feel decaying and unloved. We used to have regular patrols to deal with problems like litter and weed growth. That seems to have been allowed to drift over recent years. For a county with the second highest principal council tax rate in Wales, that is just not good enough. It is not only bad for the people who live here, it is bad for the economy of the county borough, too. How can we persuade people that Neath and Port Talbot are good locations in which to invest, to start a new business or to call their home in the midst of this neglect? We want Neath, Port Talbot and their towns and villages to fulfil their potential and we want them to be good places to live in. That won’t happen while our Labour Council sits back and watches as the mess piles up around us. Please support our petition calling on Neath Port Talbot Council to clean up our streets. Please help to take good care of our community.